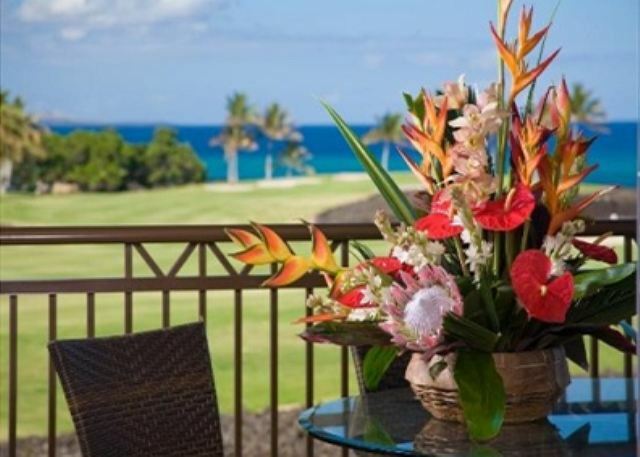 This 2 bedroom/2 bath Halii Kai villa is in the most desirable building in Halii Kai. 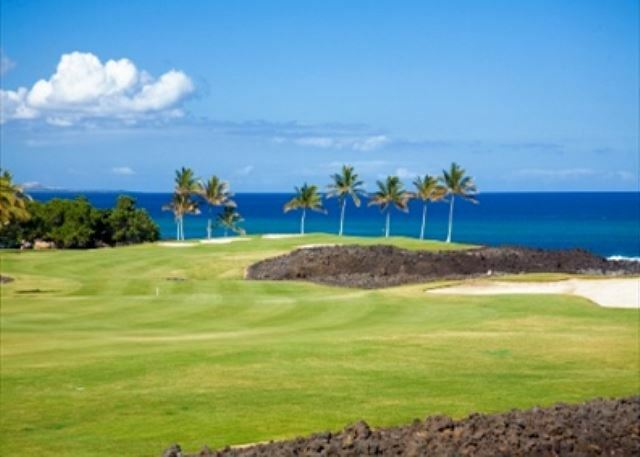 Overlooking the signature hole of the Waikoloa golf course, you can enjoy an amazing ocean view as well as coastline views. 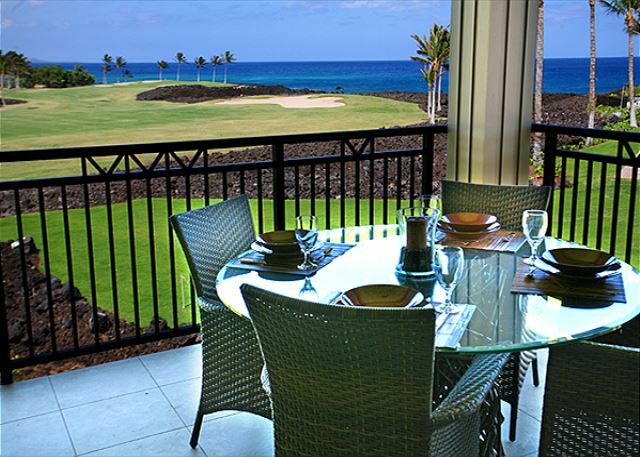 Just steps away is the Halii Kai Ocean Club. The villa has been furnished by one of the best local designers. From beautiful artwork to big screen televisions, this villa has it all. The living area has a large couch with two chairs and a big screen LCD HDTV. 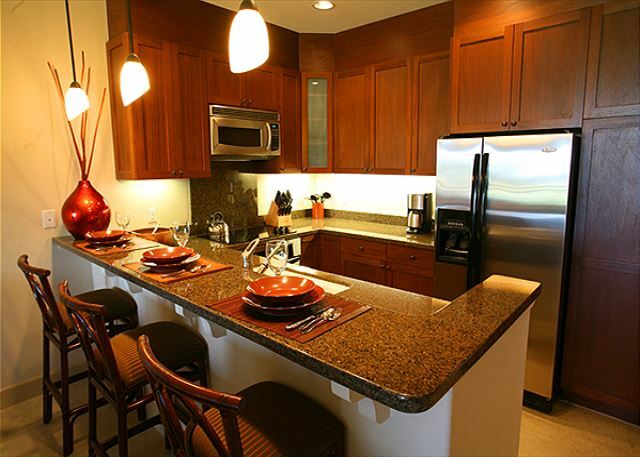 The gourmet kitchen has been fully stocked and features granite counters and stainless steel appliances. 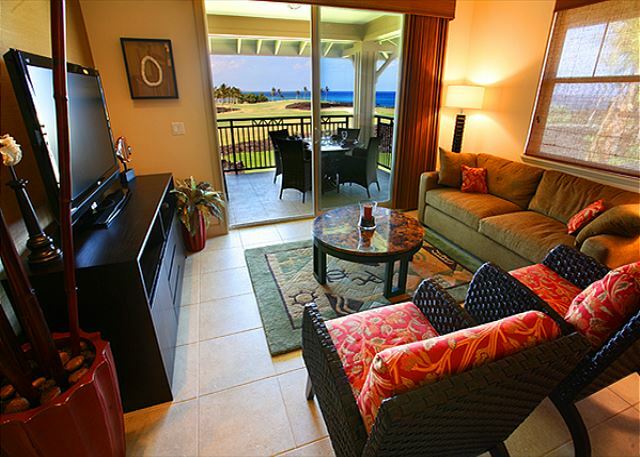 You can enjoy amazing ocean views from the living room as well as the kitchen. 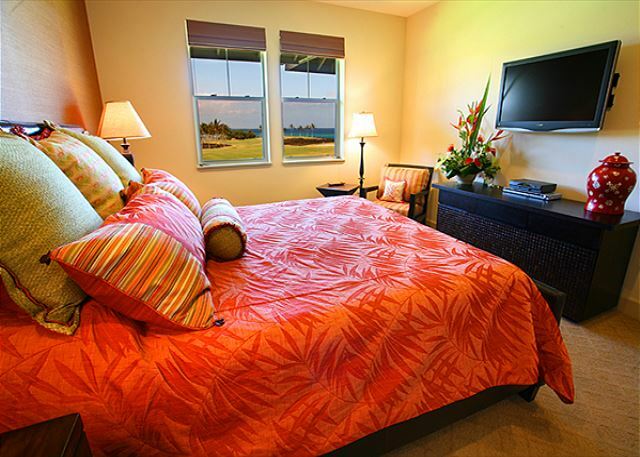 The master bedroom has a king size bed with a wall mounted cable LCD television. Enjoy watching the waves crash in from your bed! 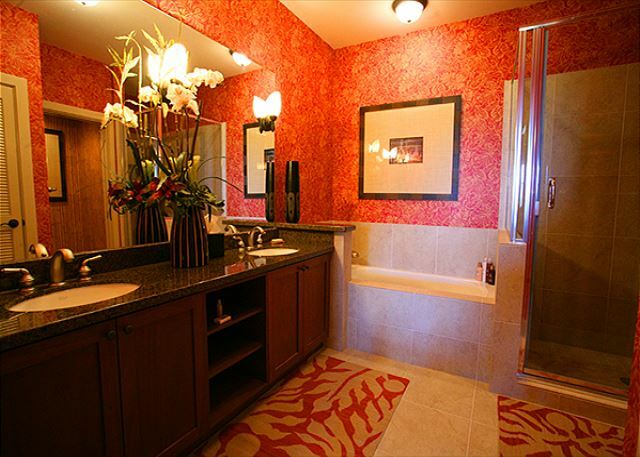 The master bath has a tub as well as a large walk in shower. 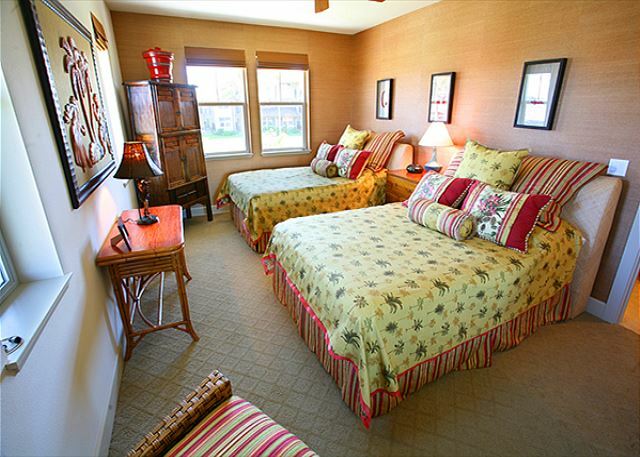 The spacious guest bedroom has two queen size beds and a cable television. The guest bath has a tub/shower. Enjoy wireless internet access throughout. We very much enjoyed our stay. The unit was well equipped, and generously provisioned and what follows should be read in the context of areas for improvement. Linens, towels and dishes were all tired and appeared well used. The unit had been surface cleaned but needed a thorough cleaning. Vacuum cleaner filters were plugged to uselessness. Pillows were dusty and the windows needed cleaning. If no housekeeping is available, it would be well to advise the client that only one set of sheets and towels is provided. Comments do not reflect well on its presentation as a "luxury" rental.